An explosive urban fantasy thriller from the Hugo, Nebula, and World Fantasy Award-nominated author of Bone Dance and War for the Oaks. 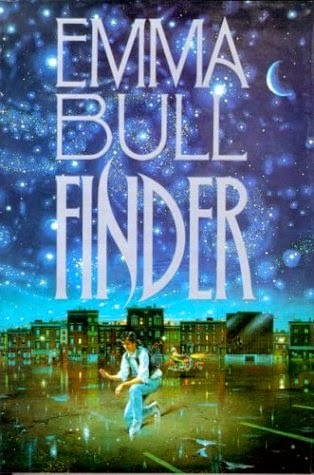 Bull returns to fantasy for her hardcover debut--a tale of magic and murder in the streets and back alleys of a human city on the edge of Fairie. Bordertown is a city between the Human and Fae worlds. While elven magic does not work in the human world and technology does not work in the Elflands, both work in Bordertown inconsistently and with interesting effects. Humans, elves, and halflings, troubled folks who are running away from their pasts, or have trouble fitting in anywhere else, inhabit the city of Bordertown. Orient is a human with the special ability to find missing things and people. His best friend is Tick-Tick, a highborn elf estranged from her family, and ace mechanic. Detective Sunny Rico enlists Orient’s help to find a killer, which leads them to a dangerous drug purported to change humans into elves. Meanwhile, a mysterious illness is endangering the elven population. I read this book for the first time in 1995. Though I have forgotten a lot of details over the years, I remember how it broke my heart. Little did I know that just six months later, I would suffer the same fate as Orient. Reading this book a second time brought back a lot of painful and wonderful memories of my close friend and made me all weepy. This story is riveting, fast-paced, magical, and heartbreaking. Not only is this a satisfying mystery and Borderlands a rich and vibrant city, it is a thoughtful and moving exploration of friendship, family, loss, grief, coming to terms with one’s past, and going forward. It broke me and stitched me back together. Warmly recommended to anyone who enjoys deeply character-driven, devastating, and hopeful urban fantasy.